8 of our members attended a pleasant Burns evening at the Caledonan Society Hall. 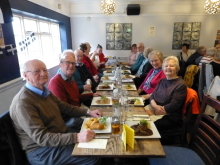 Annual Church Service, followed by a carvery lunch which 21 attended. 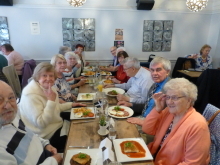 Pleasant service at the Methodist Church and an excellent lunch at the Chequers, Lytchett Matravers. 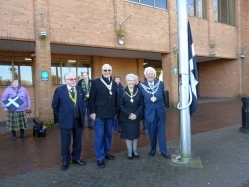 We were joined by the Mayor and Mayoress of Bournemouth to raise the St Piran's flag celebrating the birthday of Lewis Tregonwell, the founder of Bournemouth. 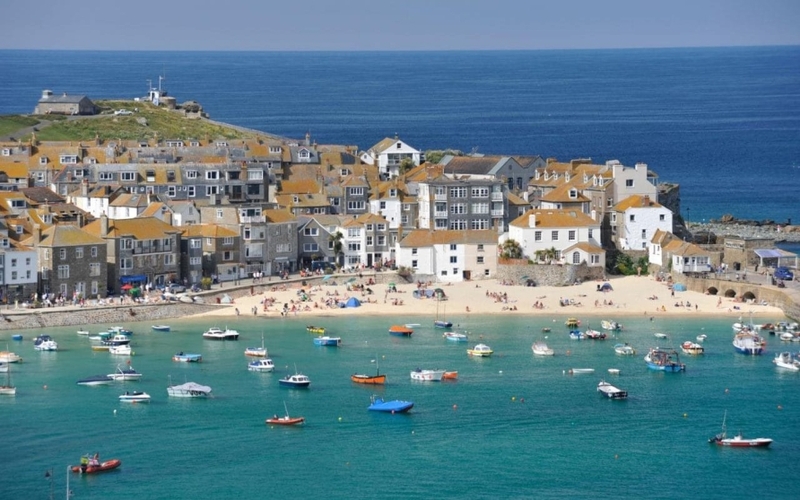 Land of my Father was then ably sung in Cornish by Jon Sweet our newest member. This was followed by a short prayer at Tregonwall's graveside. Another successful lunch at the Bear Cross Hotel. 26 attended and all enjoyed the occasion.